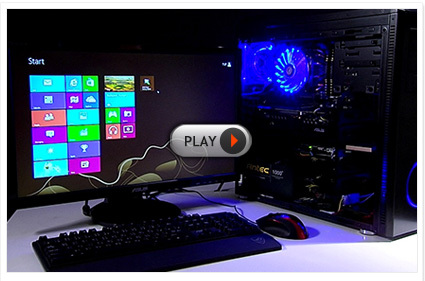 ASUS started preparing for Windows 8 early to ensure fully-optimized products on day one. 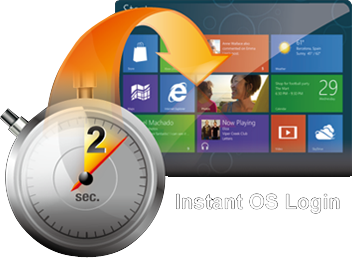 ASUS innovation has also resulted in dedicated Windows 8-tailored features such as Fast Boot, DirectKey, and ASUS Boot Setting, all tapping the capabilities of the new operating system. ASUS and Microsoft worked closely on Windows 8 compatibility, putting products through rigorous tests. New drivers and BIOS versions were built ground-up, meaning total product stability. 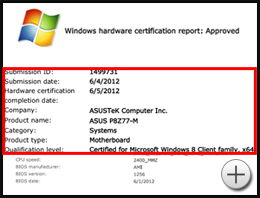 These efforts resulted in the P8Z77-M becoming the first motherboard to pass Windows 8 WHQL certification on June 5, showing the ASUS passion for perfection continues to benefit you. But customer happiness goes deeper than development, and ASUS will continue to improve products after Windows 8 launches for an always-optimized experience. With every motherboard and feature, your satisfaction is our focus, and we are sure you will make the most of Windows 8 only on ASUS motherboards. 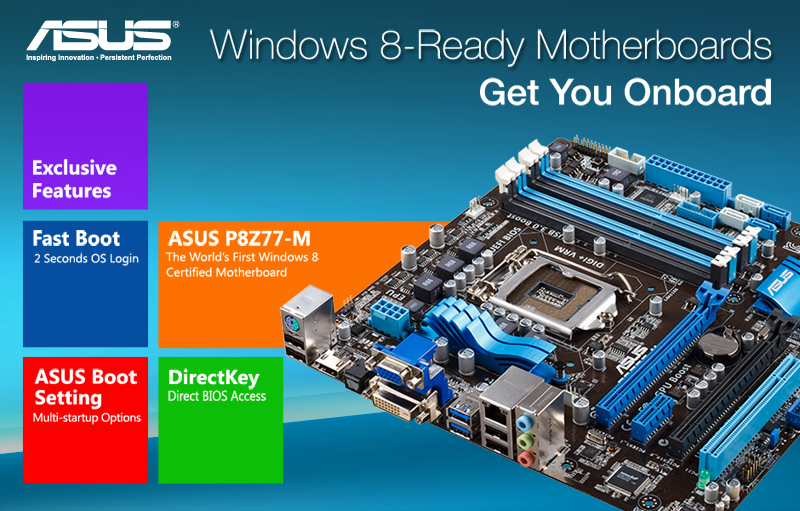 The following motherboards offer Windows 8 drivers for OS upgrade and compatible installation. 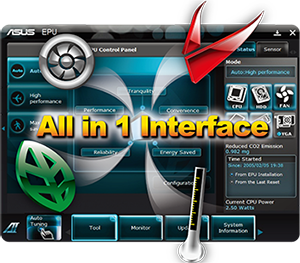 ASUS EZ Update is a lightweight application designed to keep your PC up to date. 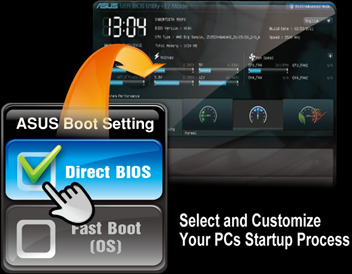 It detects the latest BIOS, drivers and software automatically, and allows users to update what they want. Schedule update checks with a few mouse clicks while the program runs minimized in your system tray. ASUS AI Suite II has been upgraded along with the launch of the Windows 8 OS. With its user-friendly interface, ASUS AI Suite II consolidates all exclusive ASUS features including EZ Update into one simple-to-use package with an elegant design. This all-in-one software offers diverse and easy to use functions, with no need to switch back and forth between different utilities. *For first-time users, please visit your product page to download the latest version. *For current users, download and install the following files to enjoy upgraded version for Windows 8!